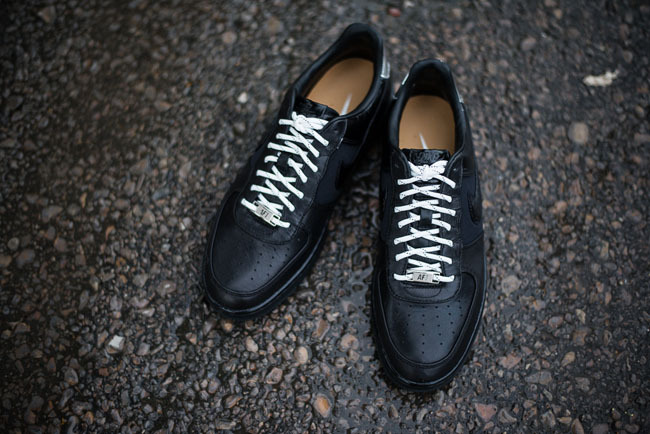 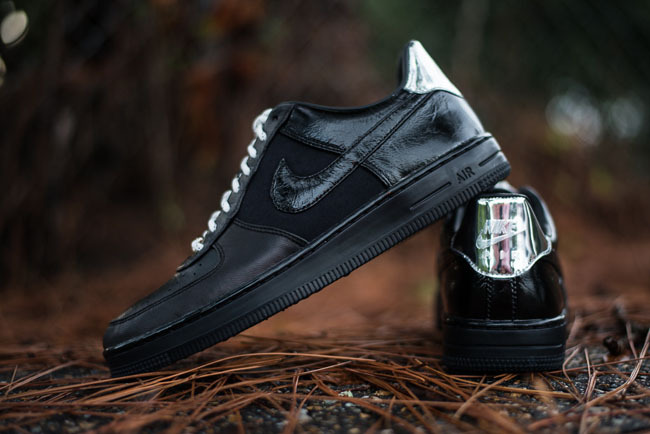 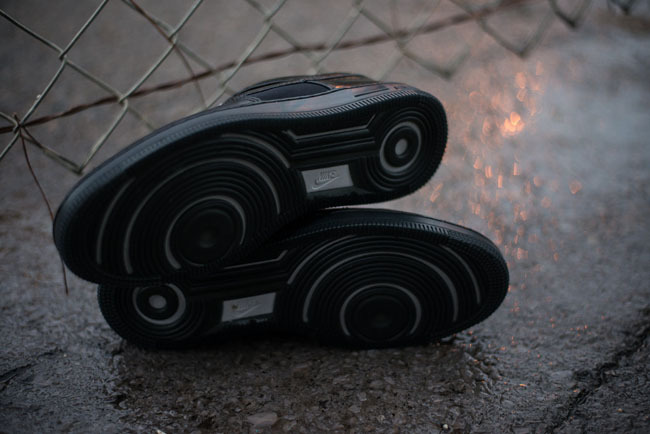 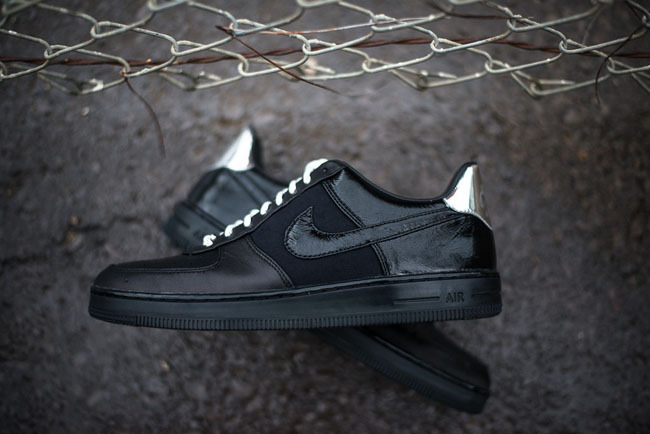 Nike's low-profile version of the Air Force 1 is now available is this new black and metallic silver colorway. 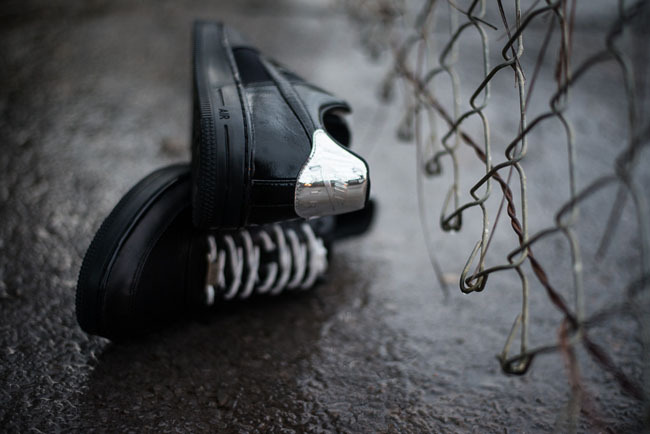 The shoe's upper has been done in an aged black leather, and features a refletive, metallic silver heel tab. 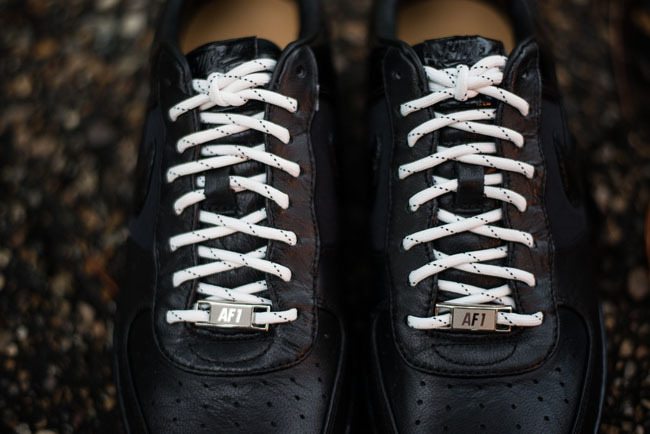 This AF1 Downtown retiails for $135, and is available now at Sneaker Politics.